The Roe Jan Watershed. 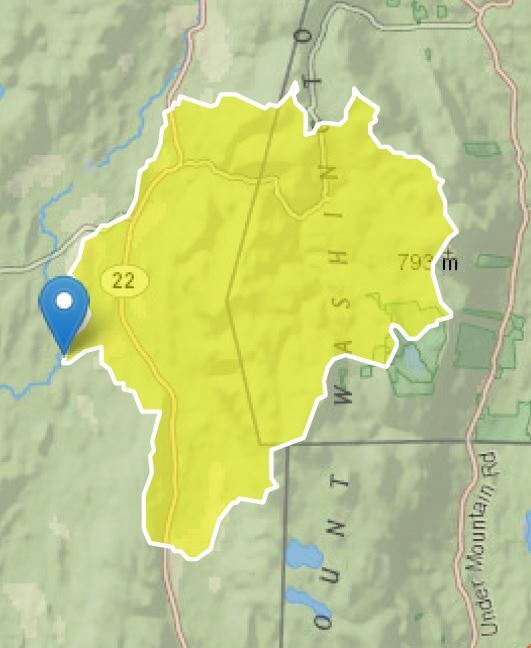 Colored areas show the main sub-watersheds. 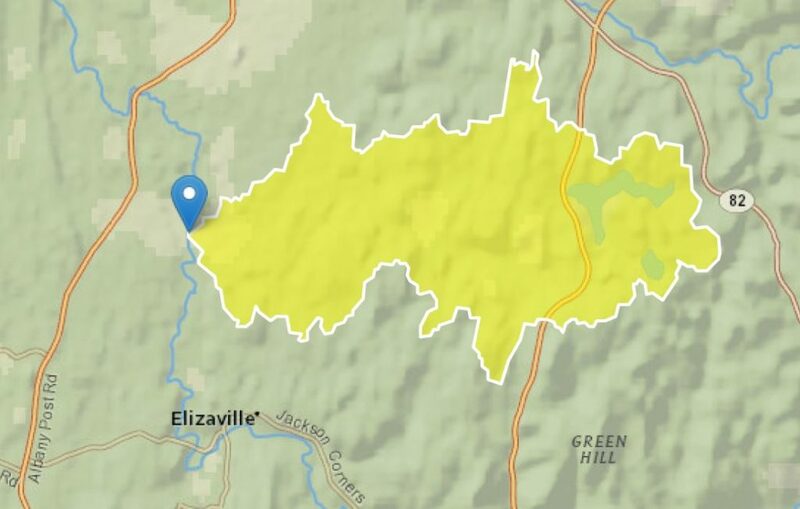 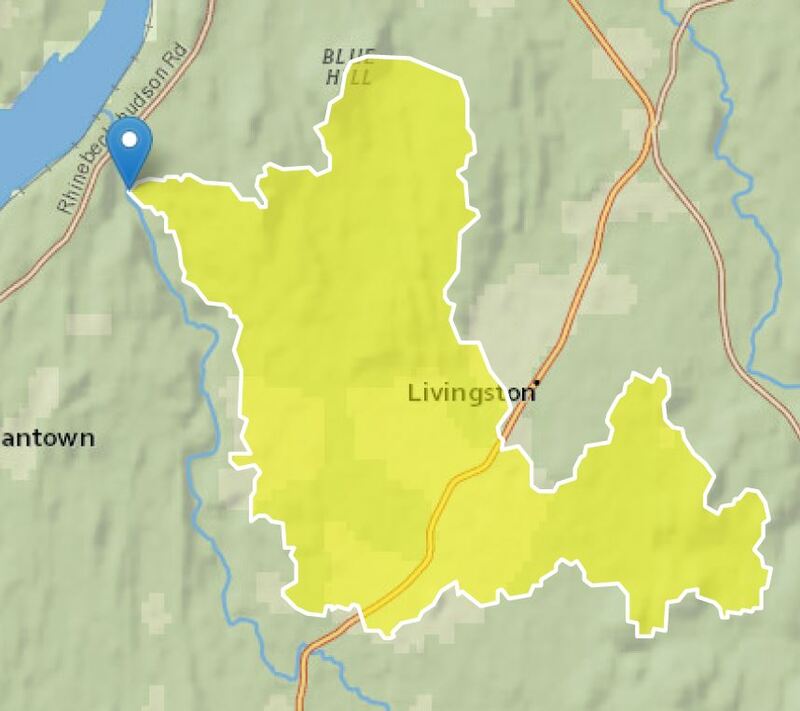 The dark yellow area is drained by smaller streams. 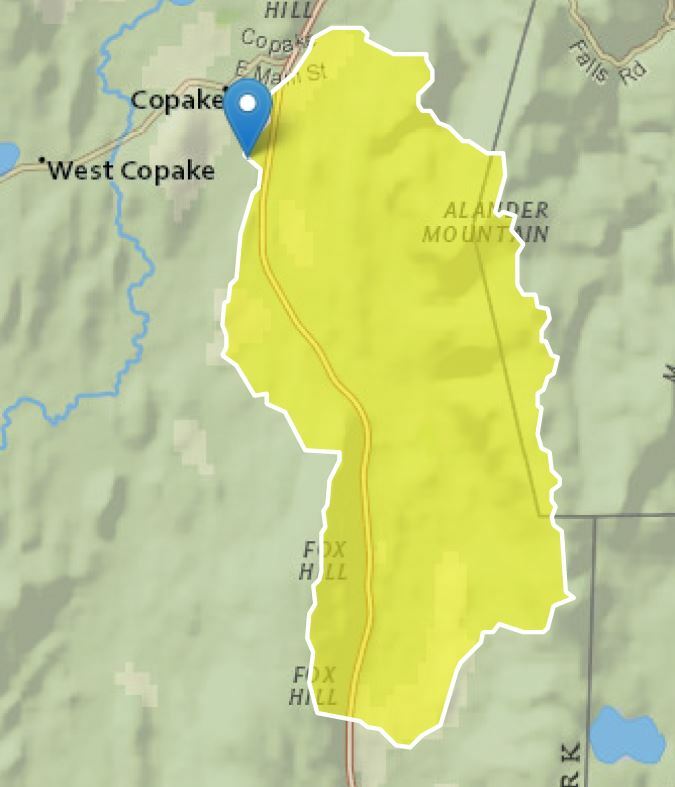 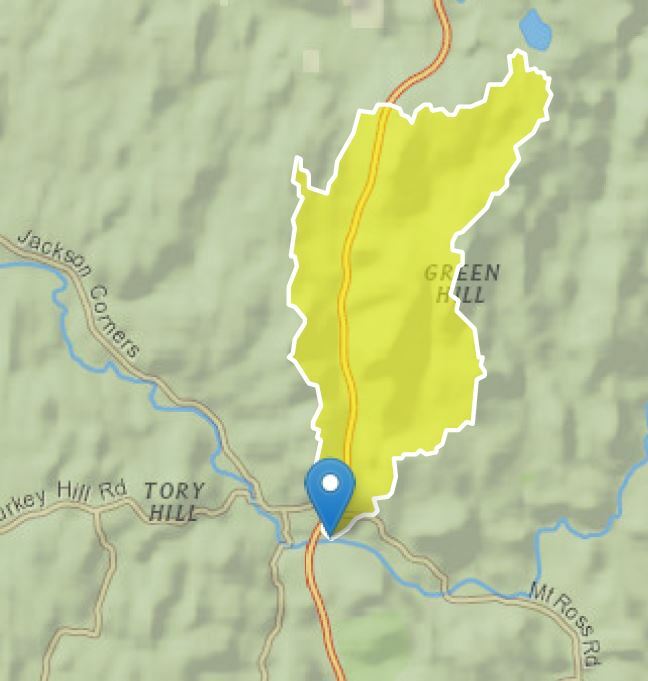 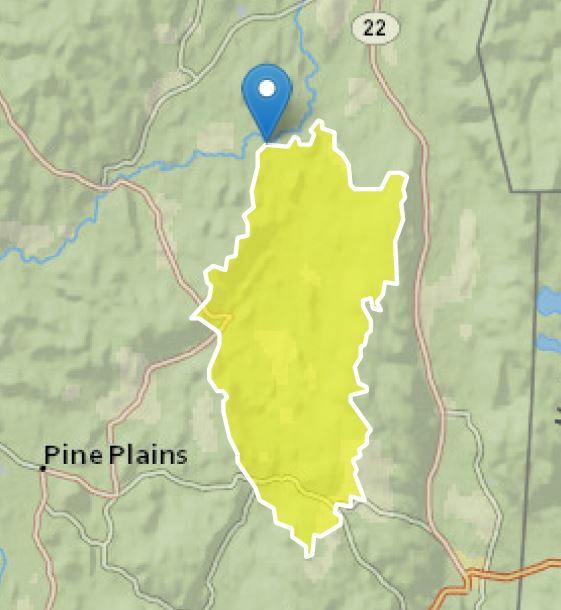 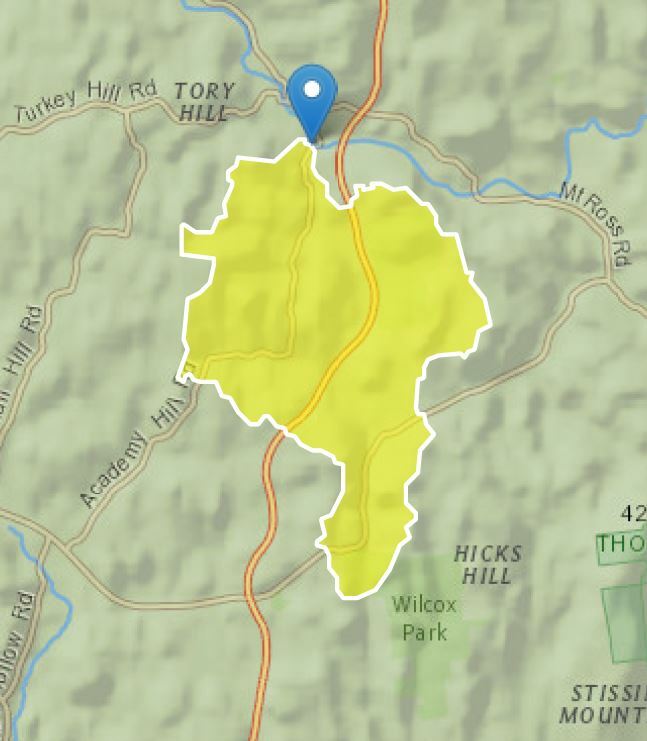 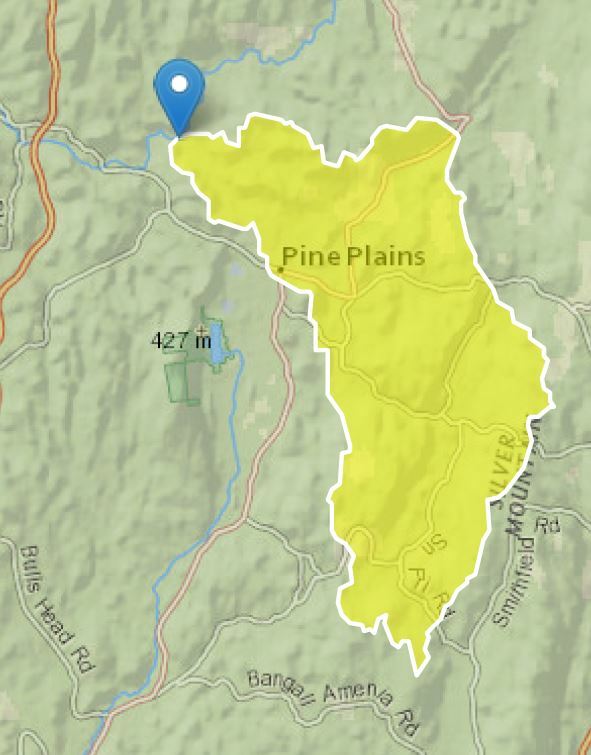 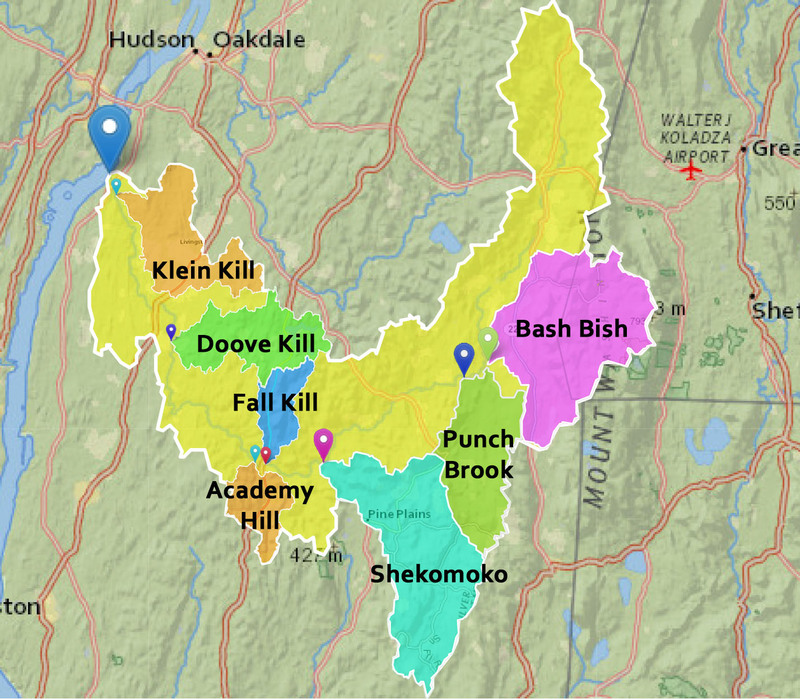 The Noster Kill Sub Watershed is a part of the encompassing Bash Bish Sub Watershed, because the Noster Kill drains into the Bash Bish just above where the Bash Bish drains into the Roe Jan.